...there's a kind of bird that doesn't have any legs so it can't light on anything and has to stay all its life on its wings in the sky. I saw one once. It had died and fallen to earth. It was light blue. Its wings were transparent. The color of the sky. But those little birds don't have any legs and they live their whole lives on the wing and they sleep on the wind. They sleep on the wind and never light on this earth but one time. When they die. -- from Act III, Orpheus Descending by Tennessee Williams. Born in Fort Sam Houston, Texas and an Austin resident until 1955, Saundra moved to California where she studied theater and oral interpretation with the distinguished professor James D. Young in the embryonic Theatre Dept. at California State University, Fullerton. She performed her first acting role as Amanda in Tennessee Williams’ “The Glass Menagerie” and while audiences and critics were stunned by the depth of her performance, Saundra only knew she had experienced theater for the first time and there was no turning back. 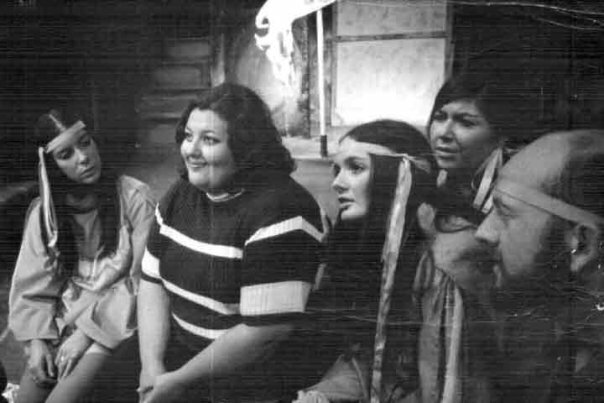 Her first role as Amanda in 1963 began a lifetime of dedication to the theatre. Directed by Donald Rickner. Photo by Donald Miller. and at the Odyssey Theatre in Los Angeles where she starred in husband Warren John Deacon's drama "The Newbijou Soft Shoe". Saundra’s training included piano lessons and operatic studies and she later returned to these interests. She performed on an album of Emily Dickenson lyrics set to music by composer William Wood. Here are her studio recordings of "The Gun" and "I Thought the Train Would Never Come", circa 1976. 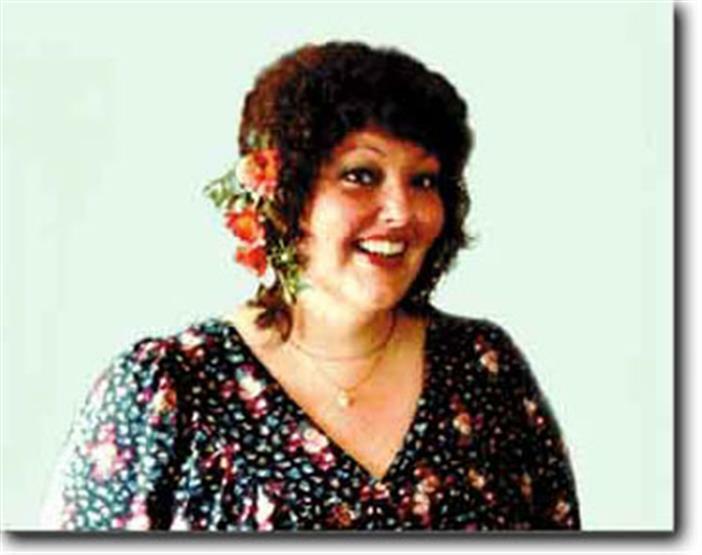 In "You Remind Me of a Friend", a stage musical which she co-developed with Robin Frederick, her live performance garnered standing ovations. Here, "The Real Me", circa 1976, recorded at the Circle Theatre. In the musical "You Remind Me of a Friend"
(4th from left) Created and written by Saundra Mathews. Music and lyrics by Robin Frederick. Directed by Gordon Smith. 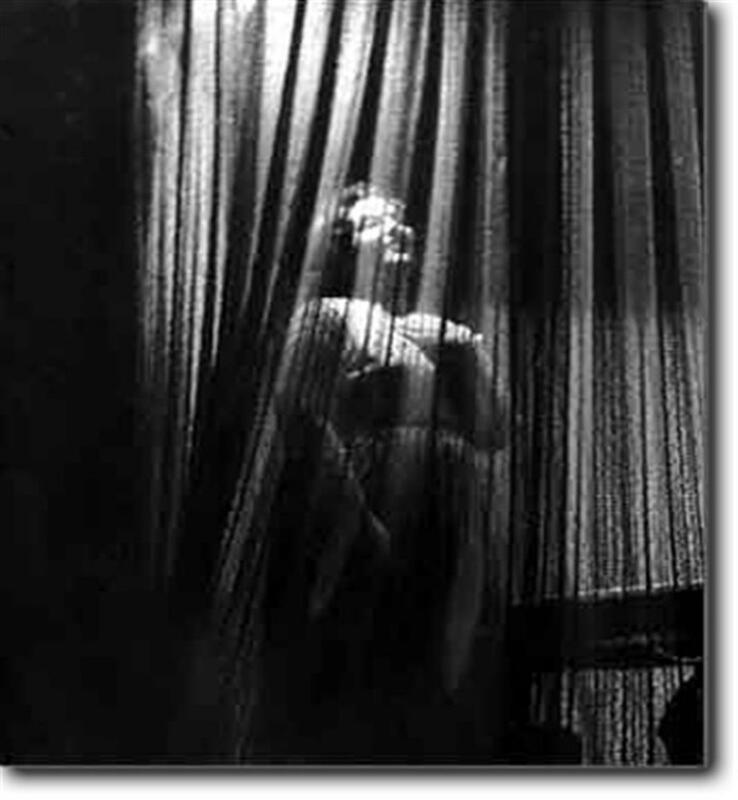 Set Design, photo by Robert Zentis. Mathews-Deacon also did voice-over work. Here's an hilarious out-take from an instructional series. Although she was most comfortable on stage and in recording sessions, Saundra didn't hesitate to try new forms. In this odd, experimental film, called Clown White, she demonstrates amazing energy and a whimsical fondness for silent film technique. An accomplished oral interpreter, her 22-part Earbook series is considered a seminal work by English literature experts and enthusiasts. Her world class readings were recognized by several authors' heirs and agents as exemplifed in this report by Christine Miller, executive producer, who was responsible for the often contentious negotiations for rights to the poems in the series. "We had particular difficulty with the T. S. Eliot estate," she says. "They wrote essentially suggesting that nobody was good enough to record his poems. So I sent them a recording of Saundra's reading of another major poet. They quickly wrote back: "Never mind. We would be very pleased if she would record his work." An anthology of her readings of modern poets, produced for public radio, the series airs in the U. S. and enlivens college literature classes around the world. Saundra eventually returned to her first loves, singing and composing, which occupied her professionally until her death in 1981. 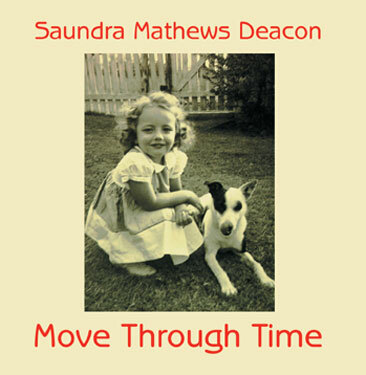 You can hear selections from her original songbook "Move Through Time" and the complete collection is available on CD. She later taught college acting classes and adapted and directed world premieres of poet Lynn Sukenick's "Houdini" and her own "Mirror, Mirror", an early work that was eventually produced as a popular musical in Los Angeles. She joined Orange County's South Coast Repertory regional theater as a member of the acting company and resident director and appeared with composer Tony Tenille in the SCR production of "Mother Earth” which set box office records for the fledgling company. Listen to radio commercial. Though she spent her early career as a performer, acting coach and director, it was as a playwright that Saundra first captured national attention. She won a Los Angeles Times critics' award for the first of three “Magic Theatre” children’s plays which she authored and directed. 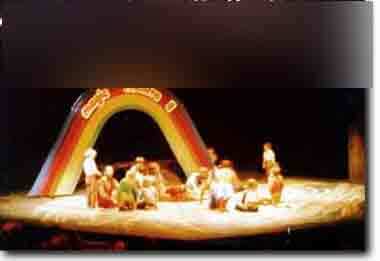 An early production of "Magic Theatre". Series has become a children's theatre classic. The innovative series, funded by a National Endowment for the Arts grant, was controversial in its candid exploration of previously forbidden subjects in children’s theatre, including death, anger and childhood sexuality. But critics, child psychologists, children and their parents quickly embraced the plays and they continued to be performed at SCR and on tour for over two decades. A popular favorite in the Dramatic Publishing Company catalog, the plays have been translated into several languages and continue to be performed throughout the world by professional and amateur companies alike. It's not unusual for elementary, high school and college drama instructors to present the plays again and again, as each new crop of students becomes captivated by the plays' innovative style and startling message. Dozens of productions were presented last year in the U. S. and Canada alone. Here's more about the project and the process. 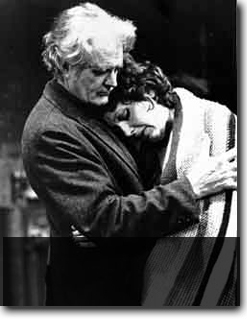 As Miriam, an aging actress. With Howard Whalen as Mobey. Directed by Bill Bartman. Set design by Robert Zentis. Photo by Mitchell Rose. With Greg Tyler as Lyle. Odyssey Theatre, Los Angeles, 1974. As an actress, Saundra often astonished audiences and puzzled directors with her amalgamic mix of Stanislavski method, a strong, sonorous voice and a large, sweeping physicality when required. She also shared her insight with hundreds of acting students as in this interview she gave to an educational researcher.